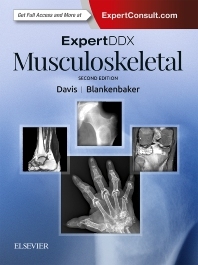 Quickly determine an accurate diagnosis for virtually any musculoskeletal problem you’re likely to see with the practical assistance of ExpertDDx: Musculoskeletal, second edition, by Drs. Kirkland W. Davis and Donna G. Blankenbaker. More than 200 expert differential diagnosis lists based on imaging findings, clinical presentation, and anatomical location are organized according to likelihood of occurrence. Each includes at least eight clear, sharp, succinctly annotated images; a list of diagnostic possibilities sorted as common, less common, and rare but important; and brief, bulleted text offering helpful diagnostic clues. Periosteum: Periostitis Multiple Bones, Child"